Is It Bad to Use Credit Cards? Whether or not using a credit card can be considered "bad" is relatively subjective, especially when considering the individual credit card user. While credit cards are certainly financial instruments that can lead to debt, they are also used by some people responsibly and with specific purposes in mind. 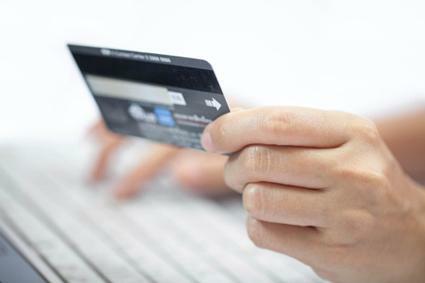 An MIT study asserted what many financial experts already say - consumers tend to spend more money when they pay for items using credit cards as opposed to when they use cash. This is true for both small impulse buys, as well as for larger-ticket items. In this sense, credit cards may be considered "bad" when used by consumers who are trying to keep their spending under control. What Are Credit Card Generators? Another study published in the Journal of Consumer Research (2012) says that consumers tend to spend more time analyzing the features of a product when buying with a credit card instead of focusing on the cost. Conversely, people shopping with cash generally focus more closely on the cost instead of the features of the product. Not everyone who uses a credit card uses it irresponsibly, but those who use credit cards without having a budget in mind may find themselves spending far more than they realize. The simplicity of swiping a card and walking out of the store with an item without needing to hand over cash may simplify the transaction to the point where the consumer feels less invested in the transaction. This can be a bad situation for people who do not keep track of their spending. Credit cards can be especially bad for consumers who do not pay off their balance every month on time. Once interest starts compounding, the consumer aren't only paying off the purchase balance, but also the interest that's been added. Equifax warns that only making the minimum payment will cost cardholders a lot more than they might expect; they also caution that perpetually making minimum payments can allow your balance to creep up, which can eventually harm your credit score. Credit cards with multiple fees can also exacerbate a credit card's potential damage to a person's finances. Annual fees, monthly fees, late fees, and more can add up quickly, so it's important to be aware of what fees a credit card charges and how to best avoid them. Even when credit cards are used responsibly, they still offer the cardholder the potential to go into debt. While a cash-only consumer simply cannot overspend, a person with credit cards always has the ability to make impulse buys or spend beyond their means because of the flexibility in spending afforded by credit cards. While some people are able to budget their spending while using credit cards, those who have a difficult time managing their finances may find that credit card usage isn't a positive choice. Credit card numbers can be stolen, so consumers who have a difficult time keeping track of their wallets or their monthly statements may find themselves in a situation where fraud has occurred, and multiple purchases have been made unbeknownst to the consumer. Keeping track of spending and checking statements carefully can help avoid a situation where credit card fraud spirals out of control. Identity theft laws are also in place to help protect victims whose credit cards have been used illegally. Credit cards indeed have the potential to cause financial problems, but this is dependent upon the behavior of the cardholder. Credit cards can be useful financial tools when used correctly, although some financial experts like Dave Ramsey say that the risk is too great and credit cards are best left alone. Whether credit cards are "bad" depend mostly on the financial behavior of the person using the card. Like most financial products, credit cards have the potential to be both useful and harmful depending on how they are used.